Are you thinking about what health benefits and coverage you'll have when you get older? Our team at Senior Advisors does our best to help give you the information and tips you need to maximize your Medicare benefits for a brighter future. If you live around Cherry Hill, NJ, or Scotch Plains, NJ, turn to our team today for in-depth and informative advice for your Medicare coverage. 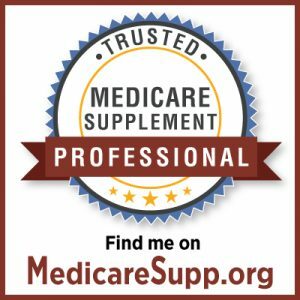 With our many years of experience within the industry, we are happy to help provide our clients with a clear and concise understanding of Medicare coverage. We strive to find the perfect plan for our clients by focusing on their individual needs and not a one-size-fits-all approach. Our agents are fully committed to helping our customers get the most out of the Medicare benefits available. If you're looking for help with your Medicare coverage options, then turn to our team at Senior Advisors in Moorestown, NJ, or Cranford, NJ, today. Give us a call at 1-856-866-8900 for our Moorestown Office or 1-908-272-1970 for our Cranford location. We look forward to speaking with you soon. Currently have a Medigap Plan F? You could save HUNDREDS or more per year. Click Here to Get Quotes Now! Check out the latest news on our ​Blog. The 2019 Medicare & You book from Centers for Medicare and Medicaid Services has over 120 pages! We take a Simple 5-step approach to helping each individual understand the key areas of Medicare. We strive to educate and assist seniors with a very complex and confusing system. (1) Medicare Overview: Our first goal is to make sure each individual has a clear understanding of Medicare. What does Part A cover? How much does it cost? What does Part B cover? How much does it cost? (2) Individual Assessment: Next, we focus on each individuals specific scenarios. Still working or spouse still working? If so, is Medical coverage provided? What is the size of the company? Currently on Prescriptions? If so, which ones? (3) Review Available Options: After we understand each individual's situation, we recommend a few options. (4) Select Coverage: Each individual selects the coverage options that fit their needs & budget. (5) Annual Review of Drug Card: For all of our customers, we offer a FREE Annual review of the prescription drug plan. See more details here. It is very important that we keep this process clear, concise, and transparent for individuals dealing with a very complex Medicare process. We do not charge a fee for our services; we are compensated by the insurance companies that we represent.